Venus Cleansing Mousse by Celestolite is a rich, foamy mousse that will purify and refresh your skin for a brighter more youthful glow. 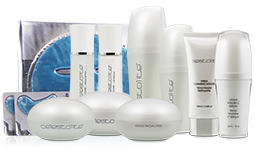 Venus Daily Renewal Cleansing Kit from Celestolite offers an invigorating and refreshing cleansing experience that leaves your skin with a clearer and more luminous looking appearance. This lush, moisturizing duo is suitable for all skin types and delivers essential anti-aging elements in the form of Meteorite Powder and Vitamin B3 while it gently clears away traces of makeup, dirt and other impurities from your skin without irritation or dryness. 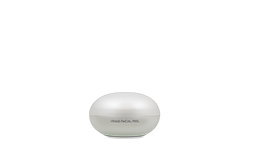 Our Venus Facial Peel provides a superior cleanse, designed to remove built-up dirt and make up. This gentle cleanser is infused with meteorite powder and camellia sinensis leaf extract to achieve a smooth and refreshed look. Our Venus Sensitive Day Cream is infused with meteorite powder and the most delicate ingredients to suit sensitive skin. 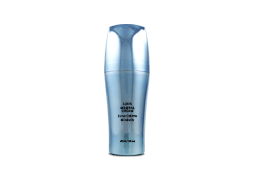 This unique blend of aloe barbadensis leaf extract, retinyl palmitate, and palmitoyl hexapeptide-12 will ease away the appearance of wrinkles to create a more youthful and luminous look. Experience the ultimate in anti-aging brilliance with Venus Vitamin C Serum from Celestolite. This silky effective serum is concentrated with Vitamin C (Ascorbic Acid) and infusions of orange peel oil. 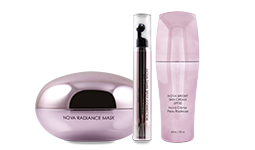 Experience a look of renewed radiance as fine lines and dark spots appear to diffuse and fade away. 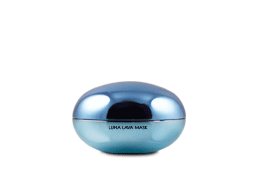 Experience the Venus Sensitive Eye Cream for sensitive skin. 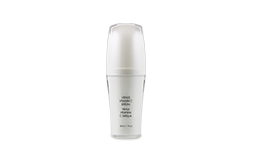 This light-weight under-eye cream is formulated with advanced agents such as palmitoyl tetrapeptide-7 and caffeine, to gently help smooth and minimize the appearance of distressed and puffy eyes. Give your sensitive skin the care it deserves with the Venus Sensitive Eye Serum. 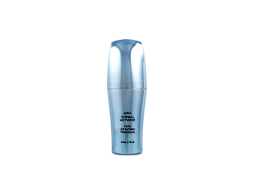 Formulated with green tea extract and Palmitoyl Tetrapeptide-7, this powerful eye serum will help diminish the appearance of wrinkles and fine lines around your eyes. 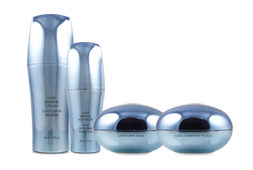 The Venus Sensitive Capsules will help decrease the wrinkle volume of sensitive skin. This celestial formula combines a unique peptide with natural anti-inflammatory ingredients to help combat signs of aging. 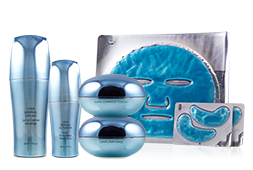 The Celestial Renewal System instantly reinvigorates dull, dry and fatigued skin. This uniquely luxurious set features 14 pairs of separate face and eye masks. Each mask contains powerful anti-aging botanicals, luminosity-boosting meteorite powder, skin-plumping collagen and intensely hydrating hyaluronic acid. 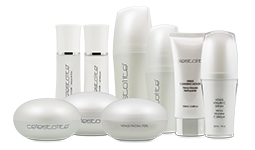 Use monthly and for special occasions to immediately restore the look of youth and vitality to your skin. Massage into wet skin until a rich lather is achieved. Rinse clean. Use daily. To use, apply twice daily to wet skin, massaging a liberal amount of the milk cleanser onto face and neck before rinsing clean. Pat your skin dry before swiping toner over the same areas of your face and neck with a cotton pad. 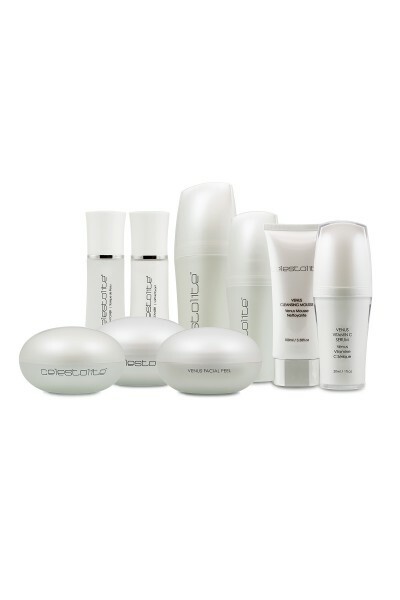 Avoid direct application to eye area and follow with your Celestolite product routine. Apply a small amount to cleansed dry skin. Massage into skin with circular motions. Rinse with warm water. 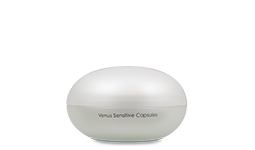 For best results, use with the Venus Sensitive Day Cream. Massage a small amount onto cleansed skin as part of your daily routine. 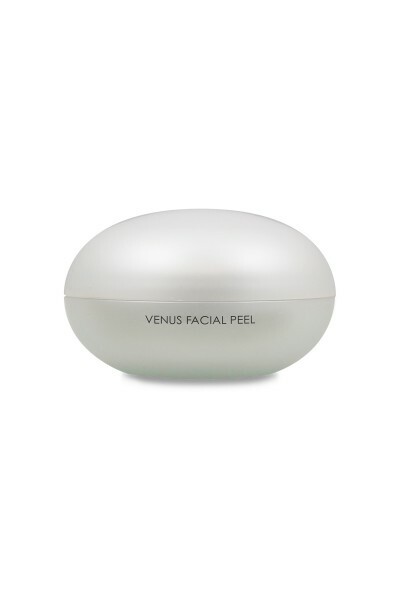 For best results, use in conjunction with the Venus Sensitive Facial Peeling. 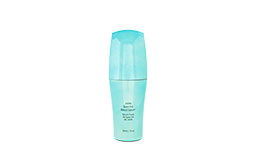 Use daily on freshly cleansed skin, applying 1-2 pumps to face and neck, massaging until absorbed. Avoid application to eye area. 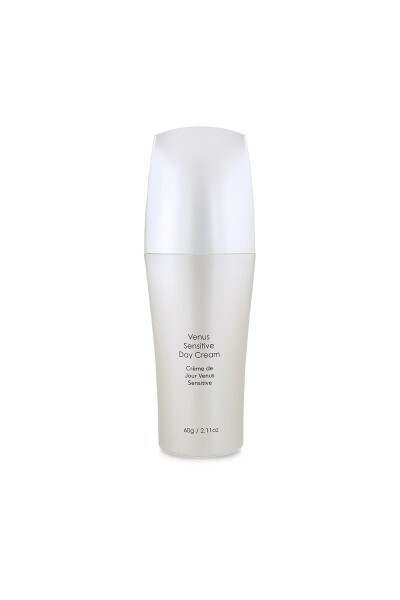 For optimal results, follow with Venus Day Cream. 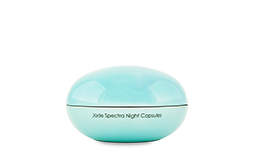 Use nightly on deep lines around your eyes as part of your skin improvement routine. 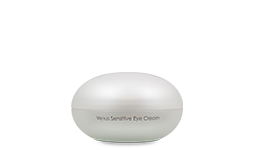 For best results, follow with the Venus Sensitive Eye Cream. 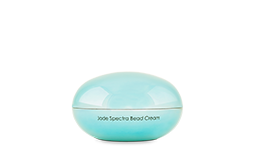 Apply one to two capsules weekly onto cleansed skin. 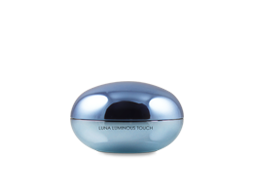 For best results, use in conjunction with the Venus Sensitive Collection. 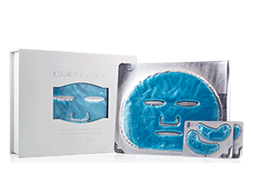 Gently smooth both face and eye masks onto clean, wet skin. Allow the masks to rest for 15 minutes before removing. Massage any remaining serum into your face and neck before following with a moisturizer. For optimum results, use every 4 weeks. Aqua, Glycerin, Sodium Cocoyl Glycinate, Cocamidopropyl Betaine, PEG-150 Distearate, Citric Acid, Carbomer, Fragrance, Sodium Cocoyl Amino Acids, Potassium Olivoyl/Lauroyl Wheat Amino Acid, Fructose, Phenoxyethanol, Hydroxyacetophenone, 1 2-Hexanediol, Meteorite power, AKA227. Aqua(Water), Glycerin, Propylene Glycol, Betaine, PEG-40 Hydrogenated Castor Oil, Phenoxyethanol, Hydroxyacetophenone, 1,2-Hexanediol, Niacinamide（Vitamin B3), Disodium EDTA, Meteorite Powder, Sodium Hyaluronate. Aqua, Glycerin, Propylene Glycol, Carbomer, Cocotrimonium Chloride, Phenoxyethanol, PEG-100, PEG-40 Hydrogenated Castor Oil, Nut Shell Powder, Ethylhexylglycerin, Disodium EDTA, Meteorite Powder, AKA227. Aqua, Caprylic/Capric Triglyceride, Cetyl Alcohol, PEG-8 Beeswax, Jojoba Ester, Acacia Decurrens Flower Cera, Helianthus Annuus Seed Cera, Polyglycerin-3, Butyrospermum Parkii Butter, C12-15 Alkyl Benzoate, Glycerin, Butylene Glycol, Squalane, Glyceryl Stearate, PEG-100 Stearate, Ammonium Acryloyldimethyltaurate/VP Copolymer, Tribehenin, Ceramide NG, PEG-10 Phytosterol, Palmitoyl Hexapeptide-12, Olea Europaea Fruit Extract, Aloe Barbadensis Leaf Extract, Tocopherol, Dimethicone, Retinyl Palmitate, Tetrahexyldecyl Ascorbate, Allantoin, Panthenol, Ethoxydiglycol, Carthamus Tinctorius Seed Oil, Zea Mays Corn Oil, Beta-Carotene, Ascorbyl Palmitate, Citric Acid, Xanthan Gum, Sodium Hydroxide, Meteorite Powder, Benzyl Alcohol, Ethylhexylglycerin, Phenoxyethanol. Cyclopentasiloxane, Cyclohexasiloxane, Dimethiconol, Glyceryl Tribehenate/Isostearate/Eicosandioate, Dimethicone Crosspolymer, Tribehenin, 3-O-Ethyl Ascorbic Acid, Mica, Fragrance(Parfum), Titanium Dioxide, Meteorite Powder, Citrus Aurantium Dulcis (Orange) Peel Oil. Aqua, Propylene Glycol, Polysorbate-20, Glycerin, Butylene Glycol, Glycerin, Polysorbate 20, Palmitoyl Tripeptide-1, Palmitoyl Tetrapeptide-7, Sodium Hyaluronate, Calendula Officinalis Flower Extract, Camellia Sinensis Leaf Extract, Aloe Barbadensis Leaf Extract, Ginkgo Biloba Leaf Extract, Pueraria Lobata Root Extract, Sodium PCA, Hydrolyzed Wheat Protein, Ascorbic Acid, Sclerotium Gum, Sodium Polystyrene Sulfonate, Allantoin, Carbomer, Disodium EDTA, Meteorite Powder, Triethanolamine, Ethylhexylglycerin, Phenoxyethanol. Caprylic/Capric Triglyceride, Safflower Oil/Palm Oil Aminopropanediol Esters, Isododecane, Neopentyl Glycol Diheptanoate, Mannitol, Sodium Citrate, Acetyl Tetrapeptide-15, Dimethicone/Vinyl Dimethicone Crosspolymer, Silica, Isoceteth-10, Dimethicone Crosspolymer, Isododecane, Plukenetia Volubilis Seed Oil, Tocopherol, Tocopheryl Acetate, Tocopherol, Bisabolol, Gold, Zingiber Officinale (Ginger) Root Extract, Citronellyl Methylcrotonate. Sea Algae Extract, Hydroxyethyl Cellulose, Paraffin Oil, Lambda-Carrageenan, Allantoin, Peregal, Collagen, Hyaluronic Acid, Chitosan, Glycerol, Propylene Glycol, Mica, Blue Flash Powder, Meteorite Powder, Lavender Oil, Euxyl PE9010, Aqua.